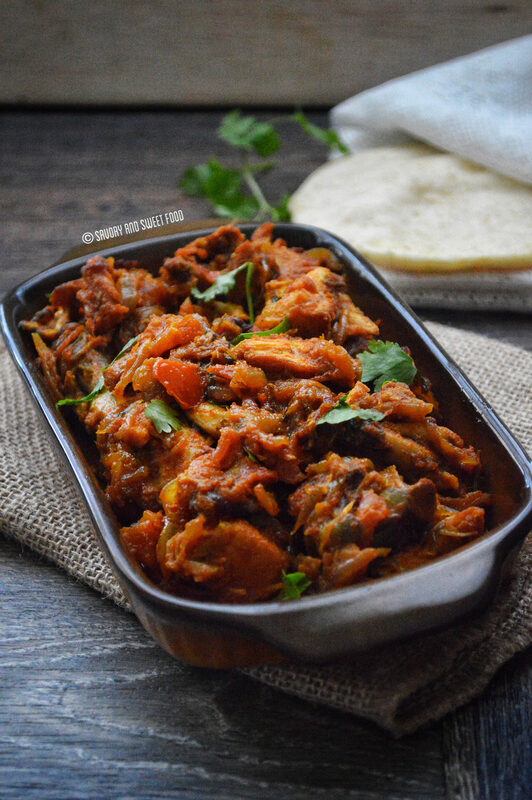 You can find this type of shredded chicken chilli in almost all malayalee restaurants. 🙂 I love this type of chicken preparation, used to order this at home frequently when I was a child. 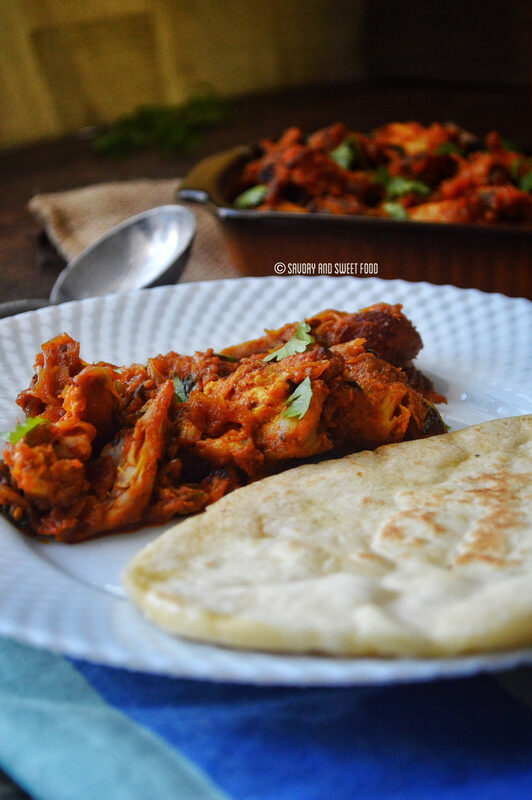 Have this spicy chicken with soft, hot and flaky malabar porotta and you will absolutely, definitely looove it. But it goes pretty well with chappathi, naan and puri too. Do not shred the chicken very fine. You just have to pull the meat apart from the bones. Let some pieces of meat be there on the bone. 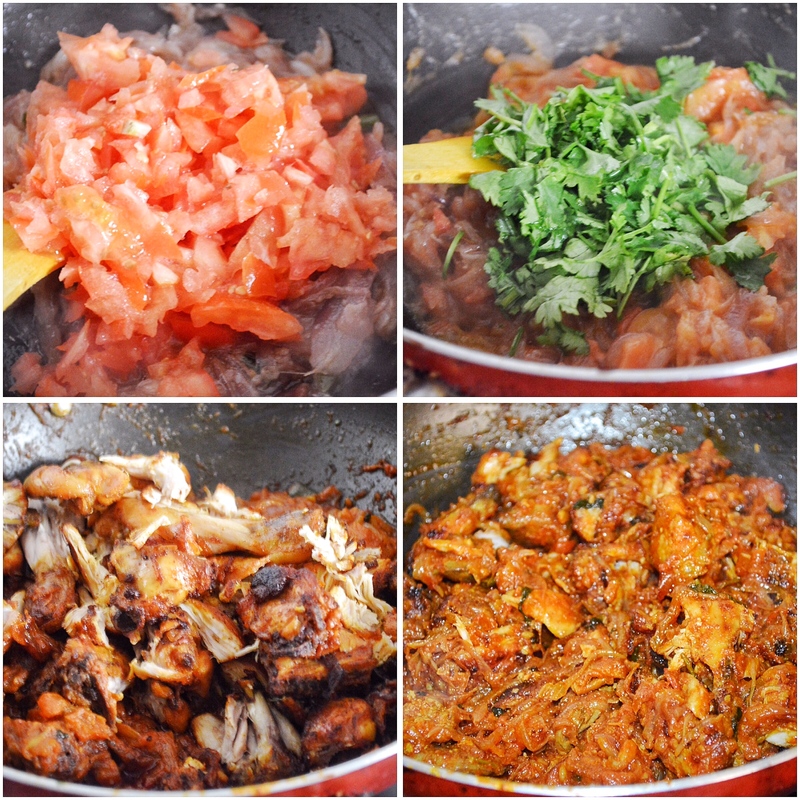 Marinate the chicken in red chilli powder,turmeric powder and salt. Shallow fry the chicken till chicken is nice;y cooked and charred on outside. In the same oil in which you fried the chicken, sauté the onions and green chillies till the onions are soft and slightly brown in colour. Add in ginger and garlic paste. Cook for few minutes. Add in chopped tomatoes. Cook or 10- 15 minutes till the tomatoes are nicely mashed and cooked through. Add salt. Add in the coriander leaves. Add in the chicken pieces along with the bones. Mix well. Cover and cook for 10 minutes on low flame. 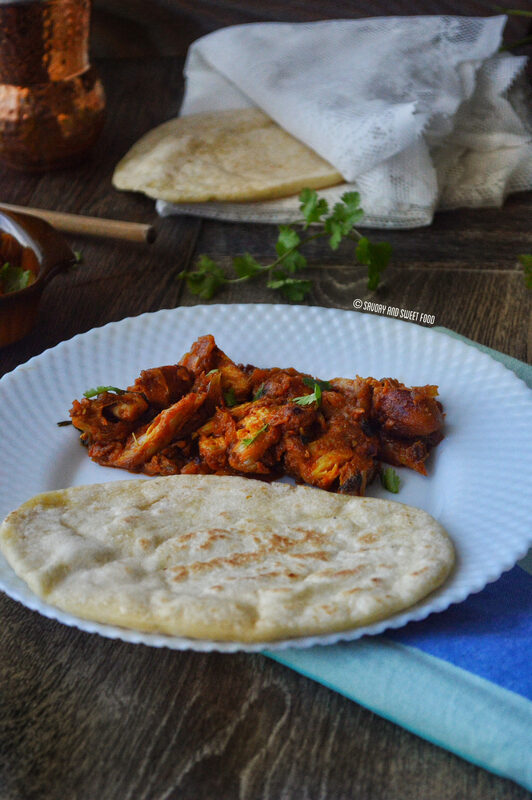 Serve hot with malabar porotta, chappathi, naan or puri. 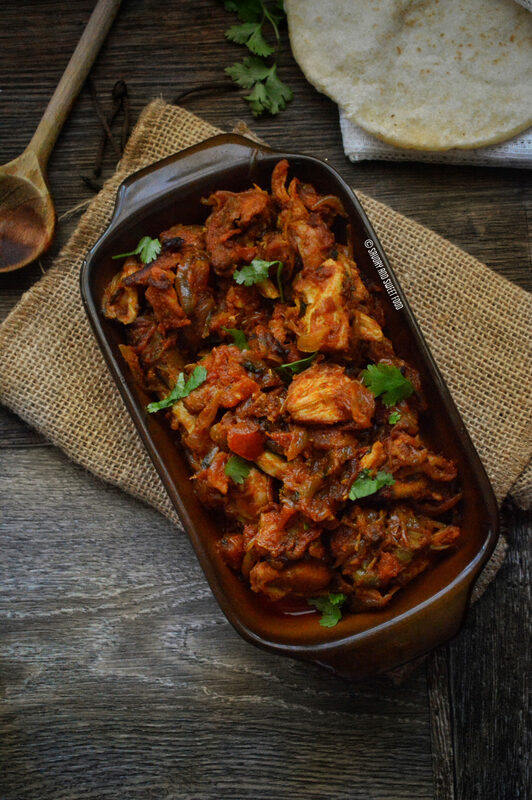 An Indian style spicy dry dish made of shredded fried chicken with a rich and spicy onion tomato masala. Thanks Aysha! Did you try it? Great recipe indeed! 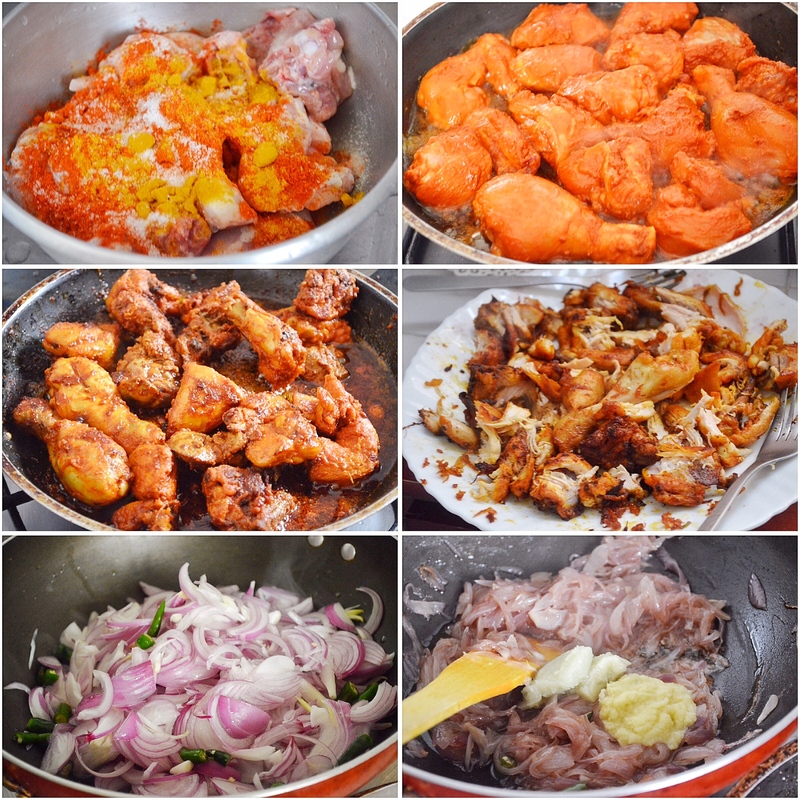 Excited to make this shredded fried chicken on weekend, this will surely a delicious one. Thanks Margaret! Hope you will like it. Which brand of chilly powder do you use? Hey Andrea! I use chilli powder which I get from India. We buy dry Kashmiri red chilli and grind it. 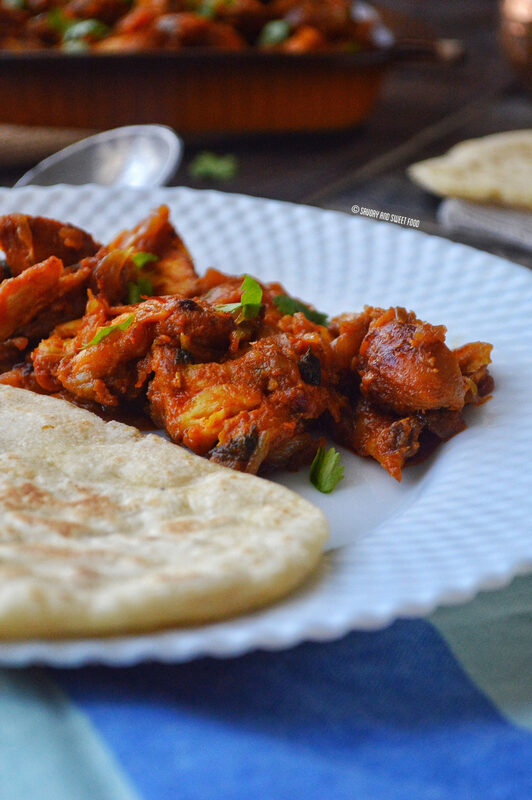 As you said, it is our favorite dish at one of the Malayalee restaurants in Mangaf! Thanks for the recipe. You are welcome Priya. I too like a chicken chilli which we buy from a restaurant here in Salmiya.